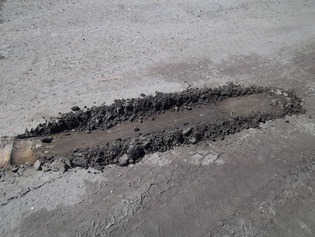 When damage is done to driveways, it can be costly and may upset customers. (Whether the damage is caused by a driver mistake or simply gravity and weather). To pave a small 12×50 (600 square foot) area costs between $1000-$3,000 for gravel, black asphalt or macadam and can run two to three times as much for materials such as concrete or cobblestones. Saving one driveway with a set of Www.rolliskate.com would pay for it self in no time. 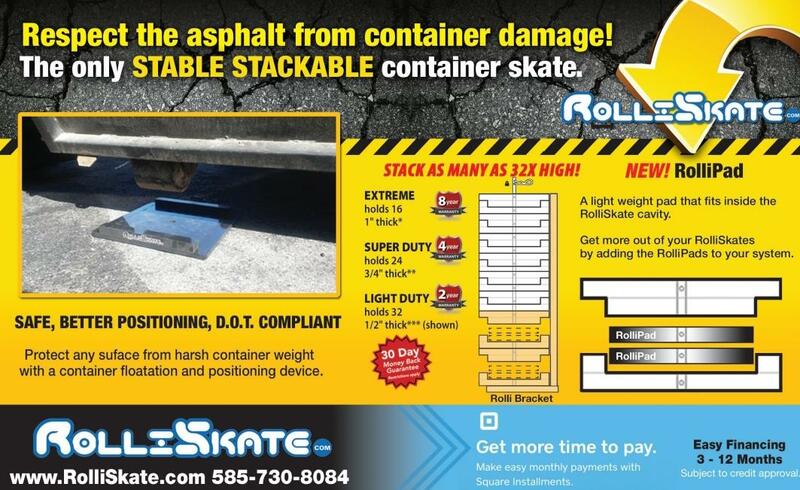 Respect the asphalt from container damage! The only stable stackable container skate.